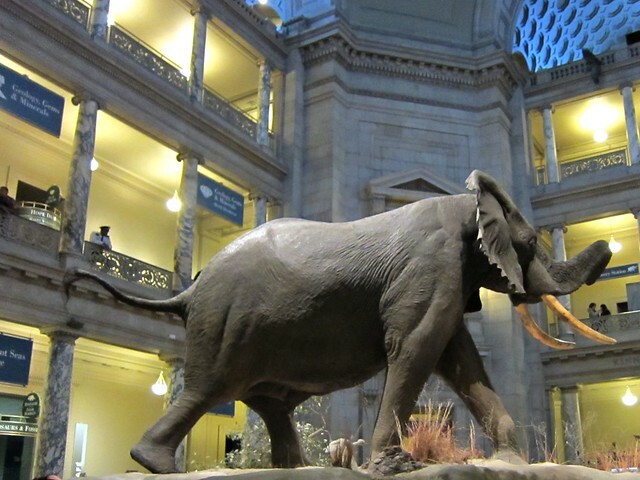 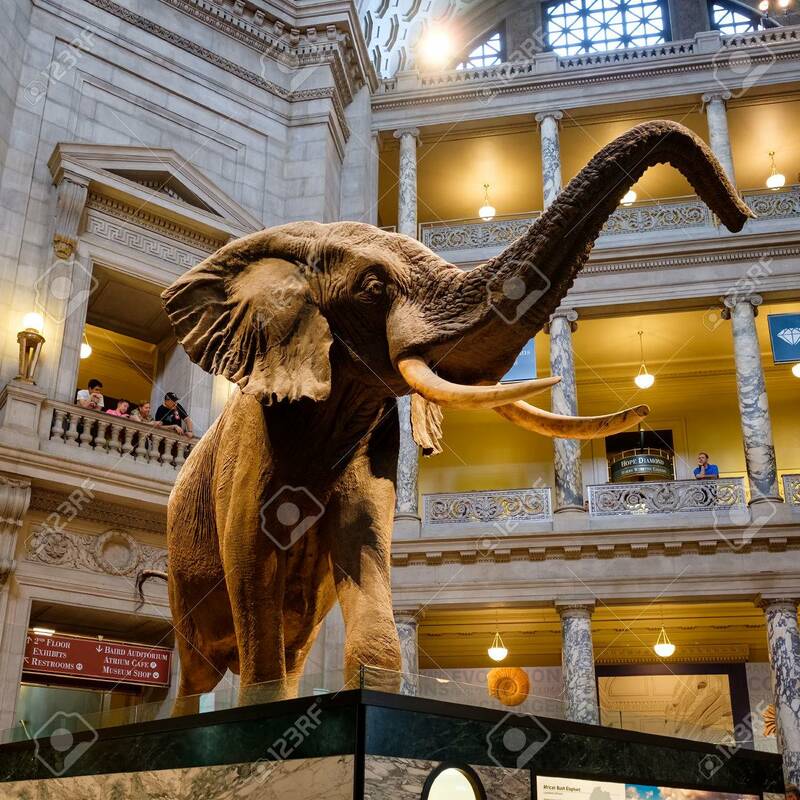 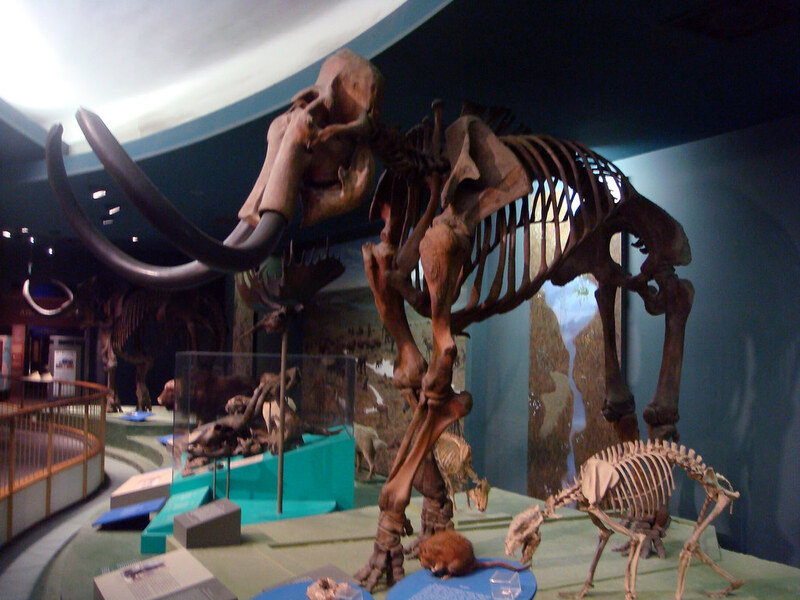 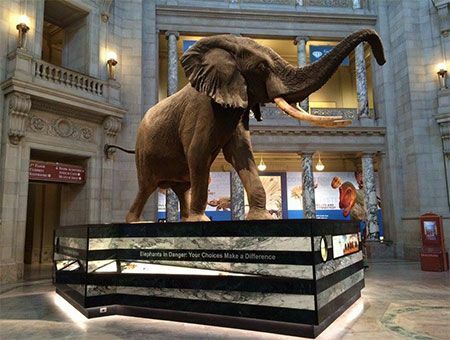 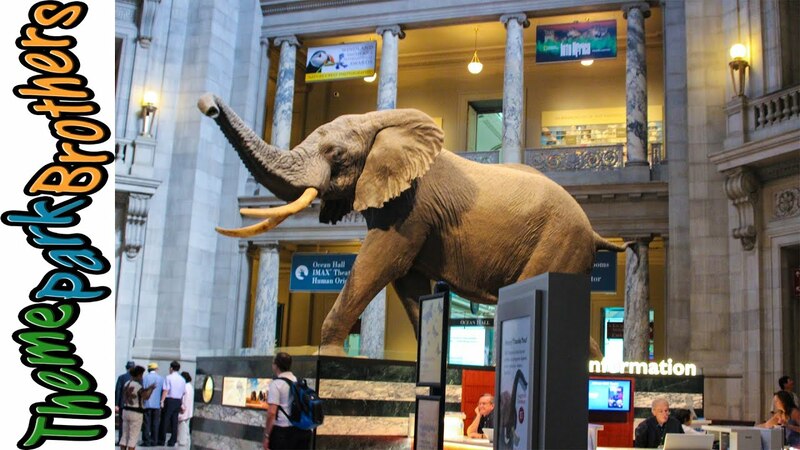 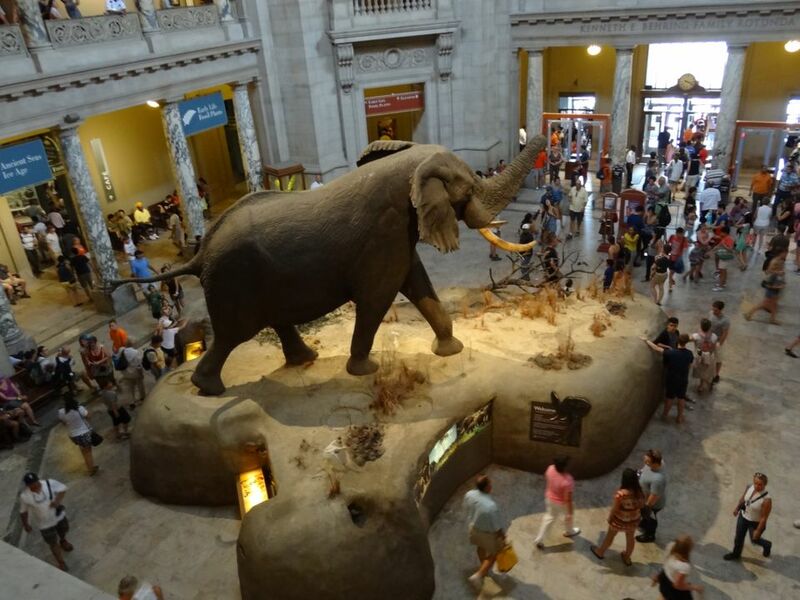 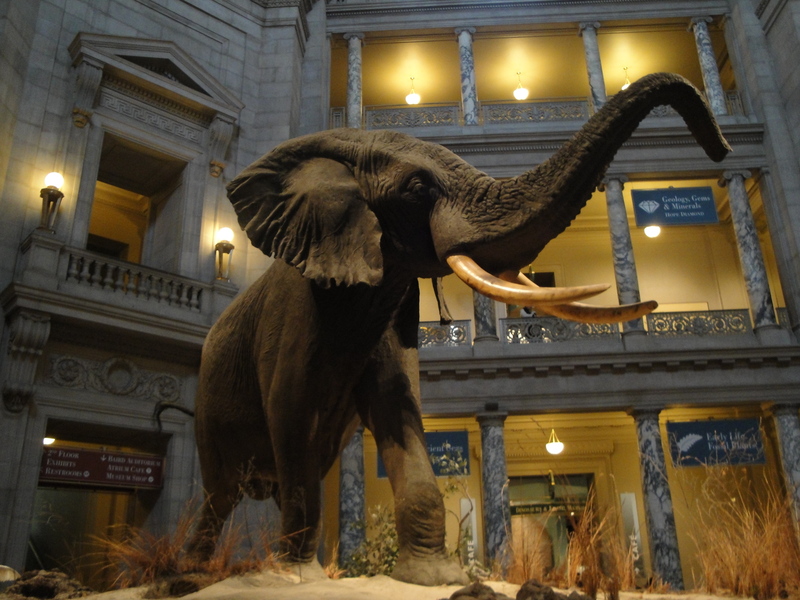 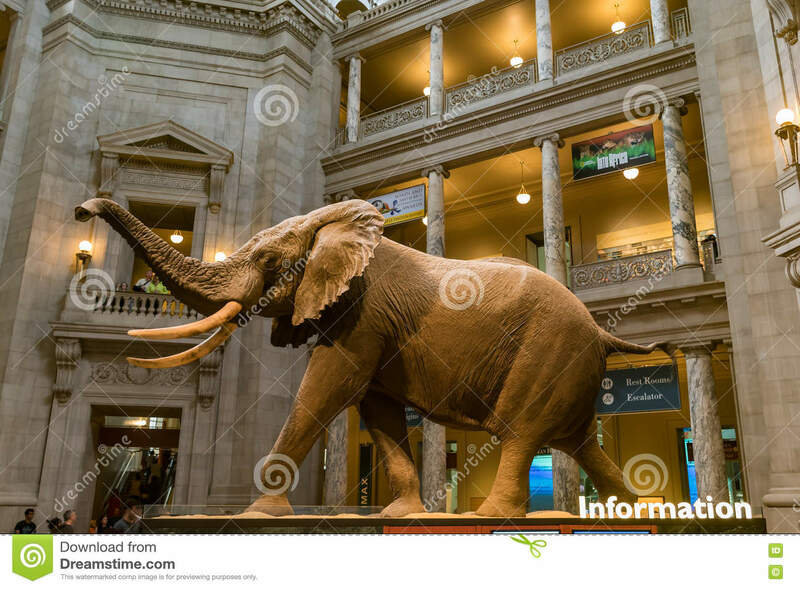 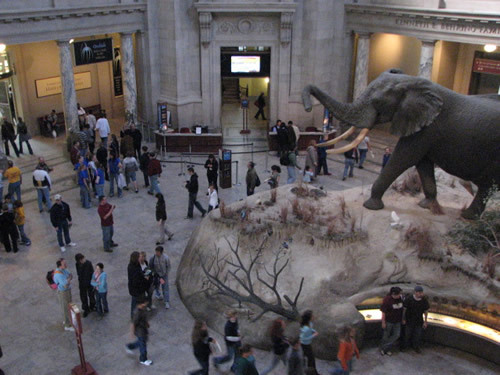 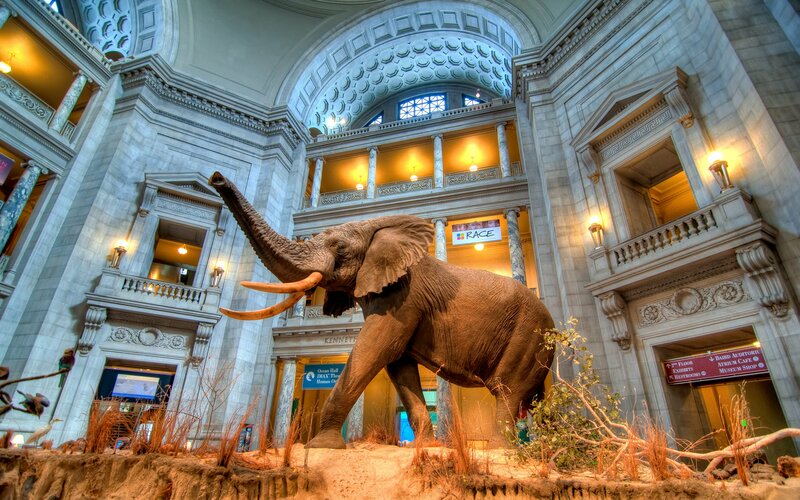 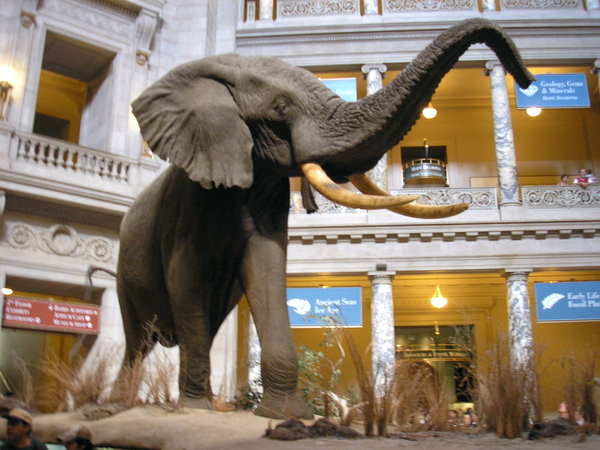 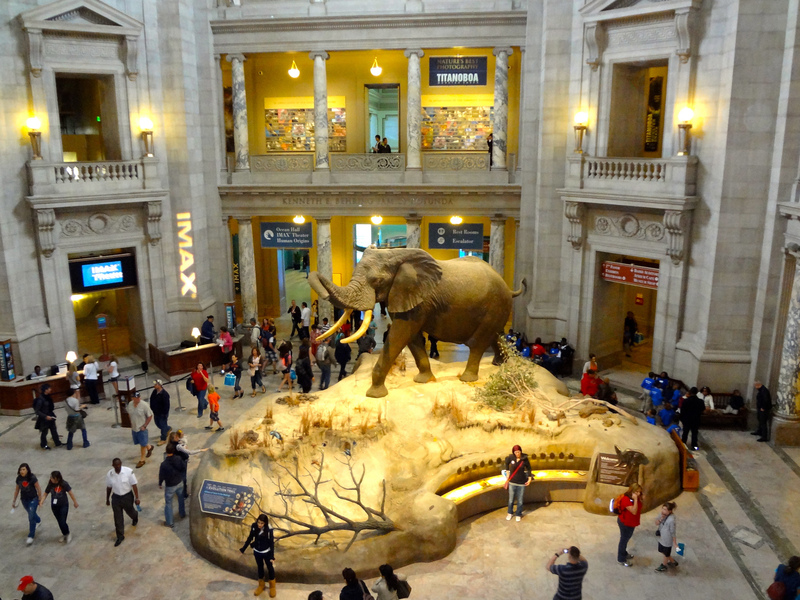 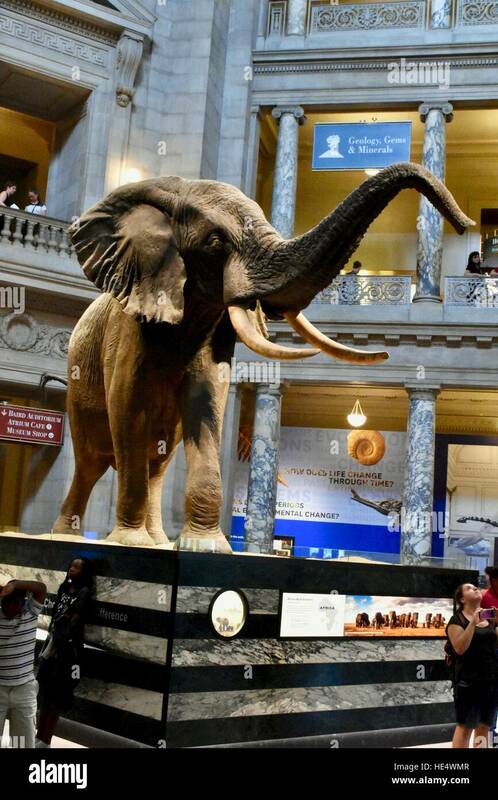 Smithsonian National Museum of Natural History, Washington D.C. - The elephant in the rotunda. 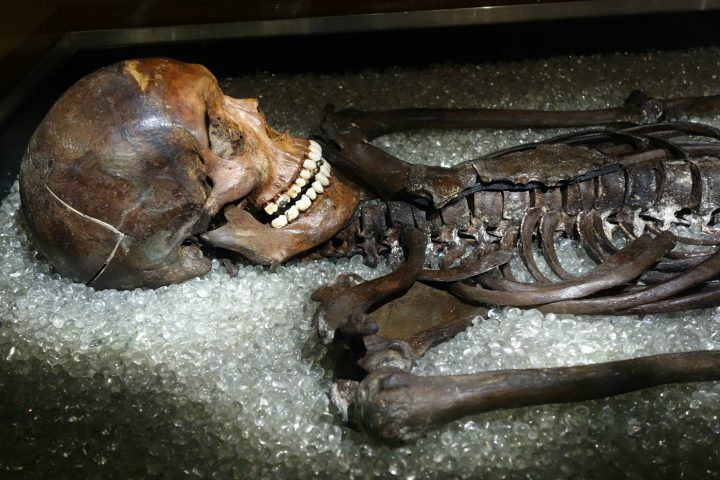 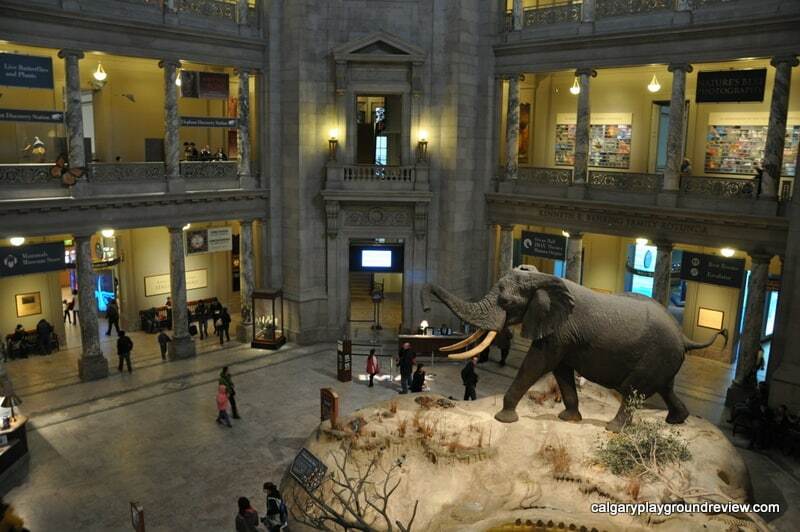 James Di Loreto / Smithsonian. 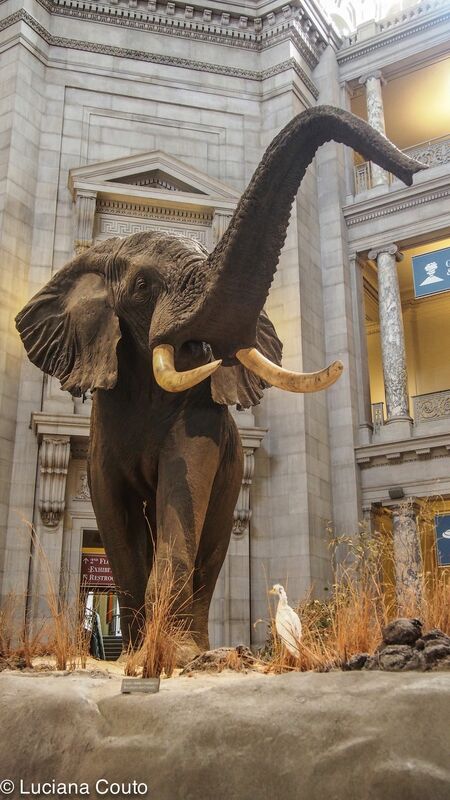 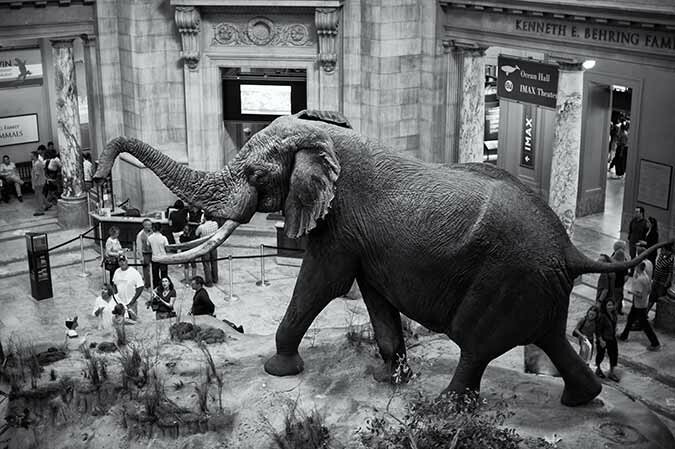 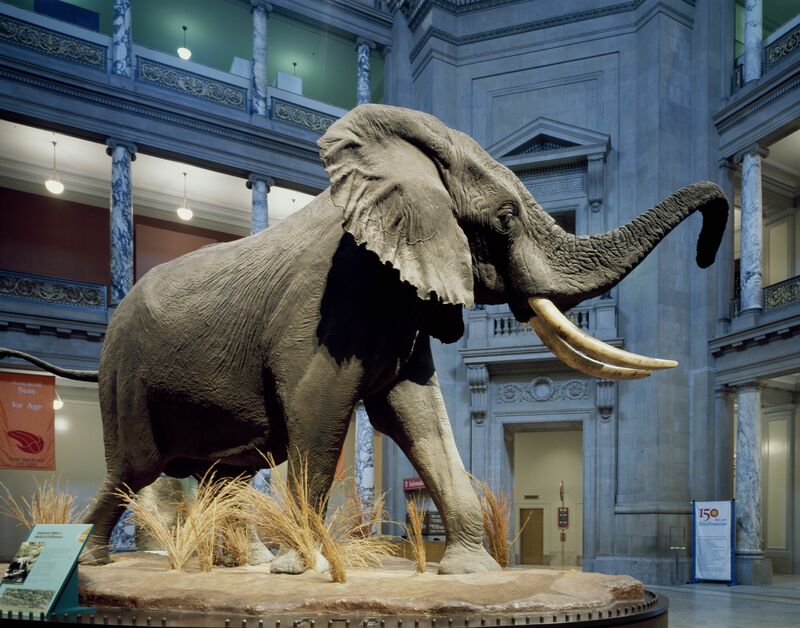 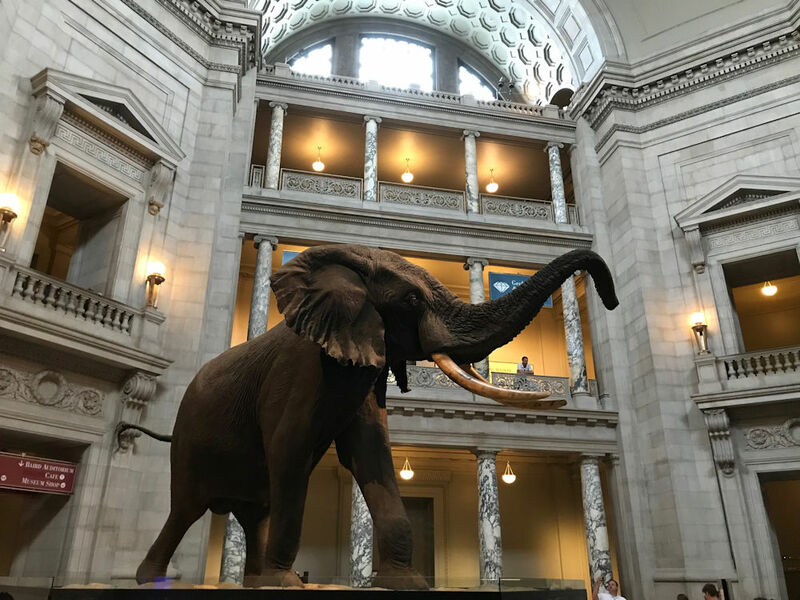 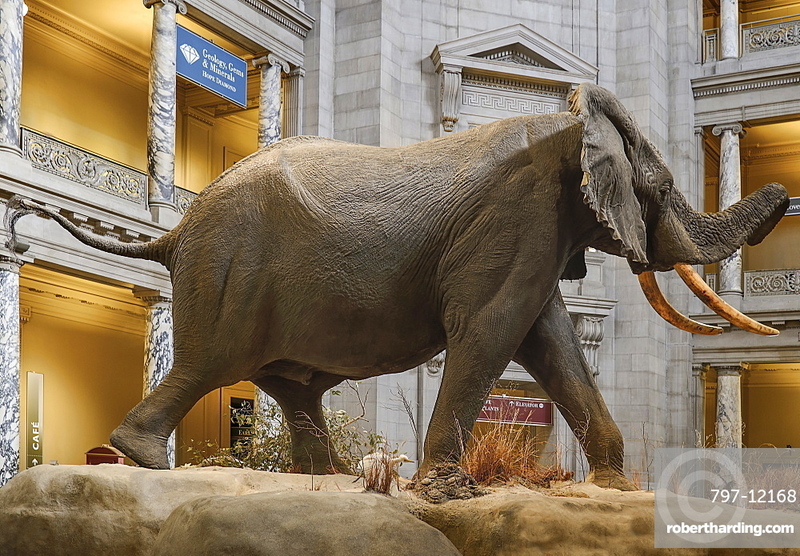 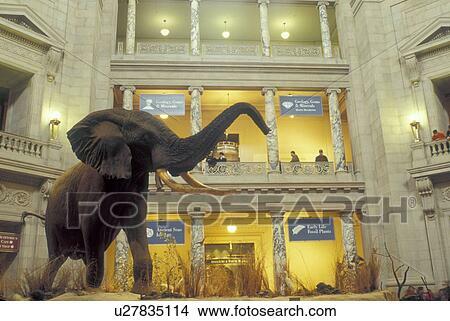 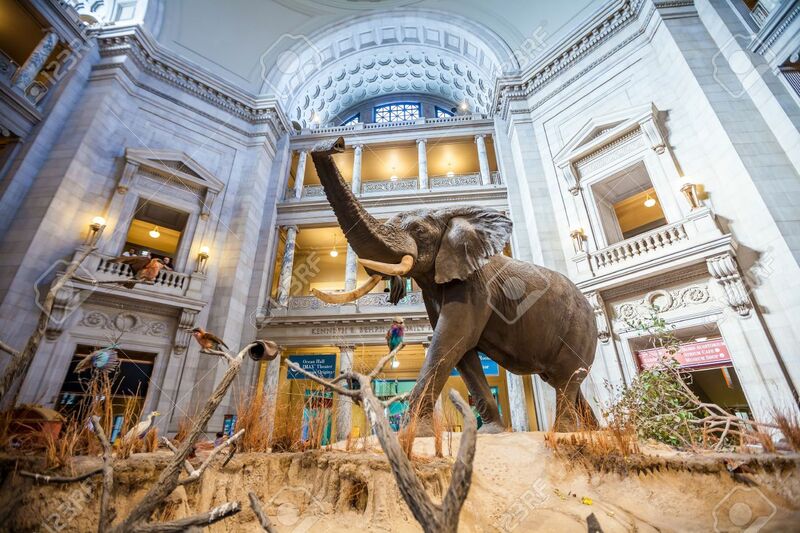 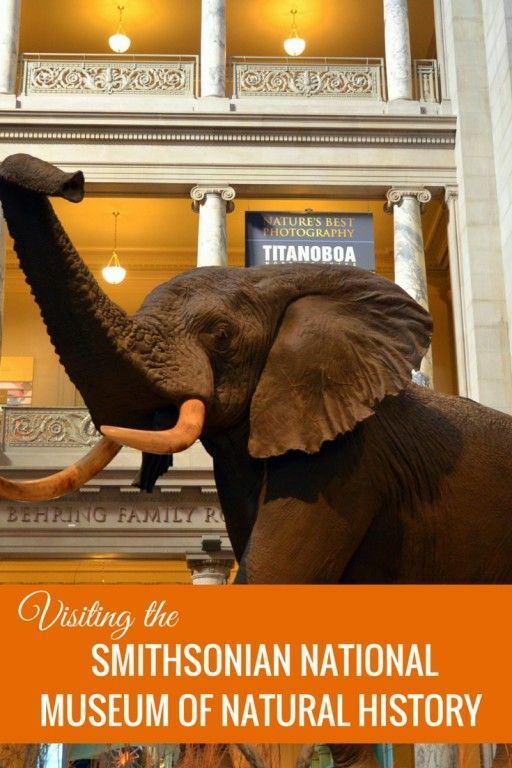 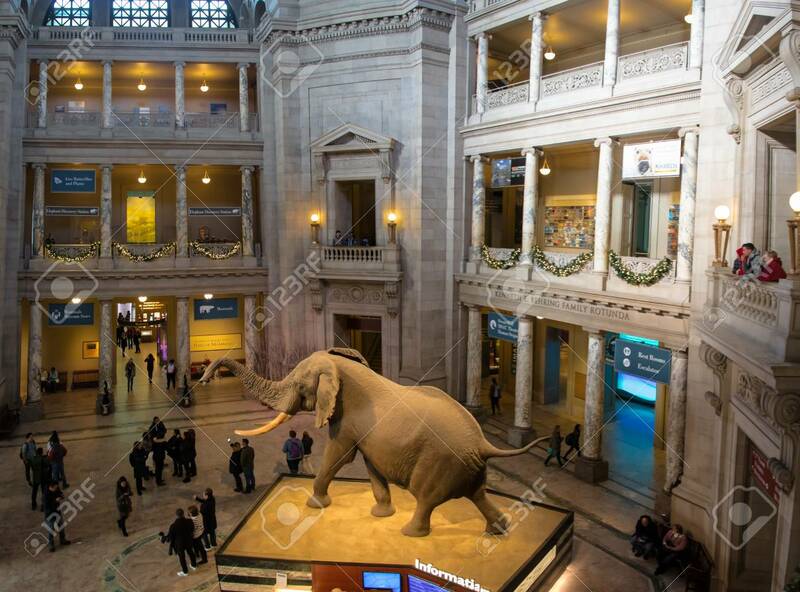 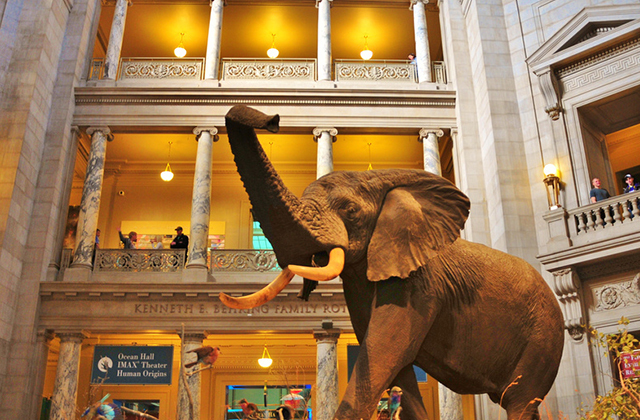 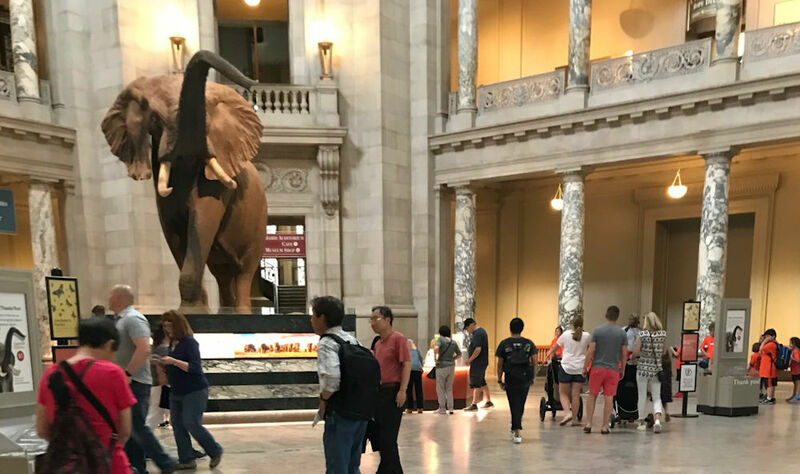 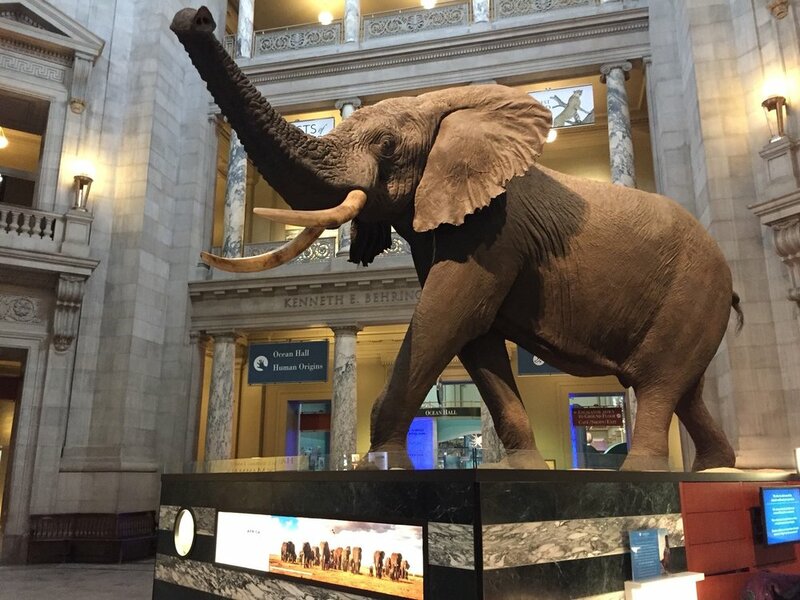 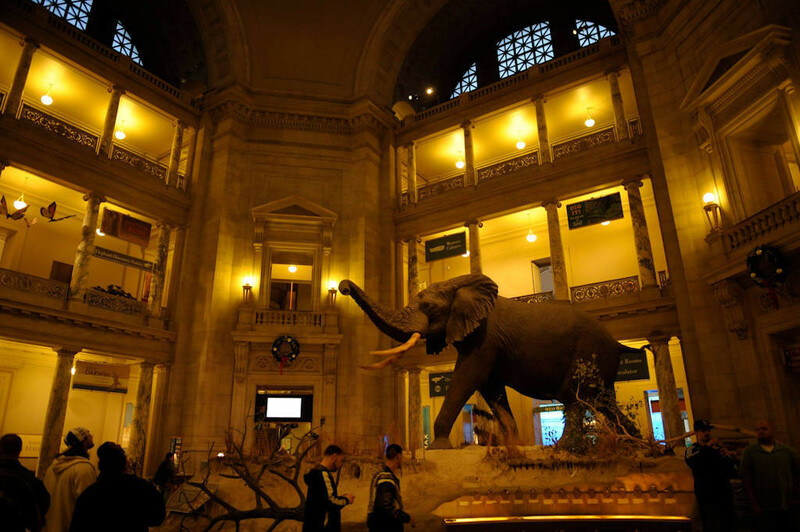 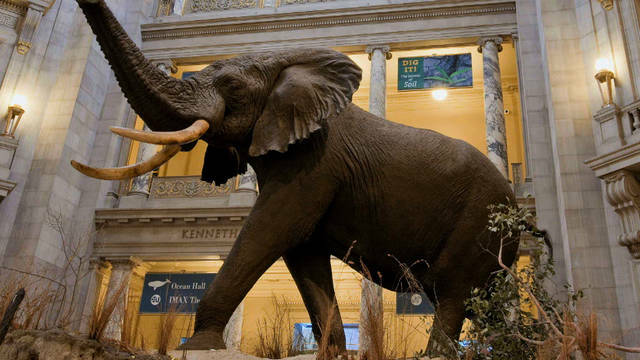 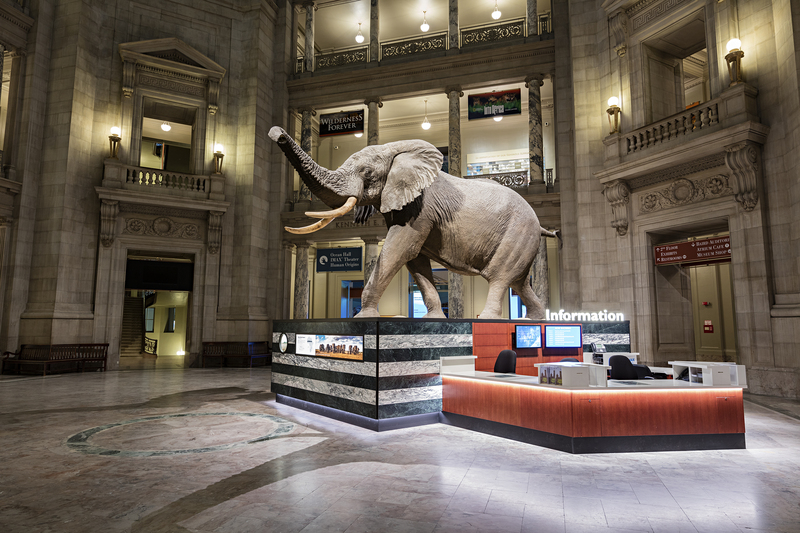 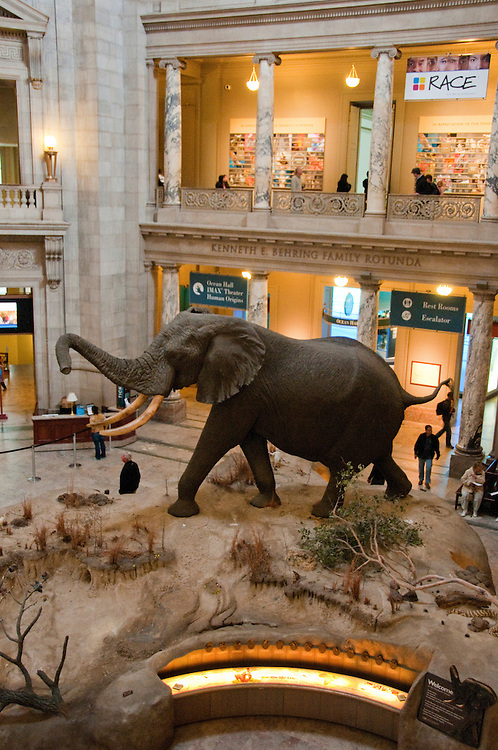 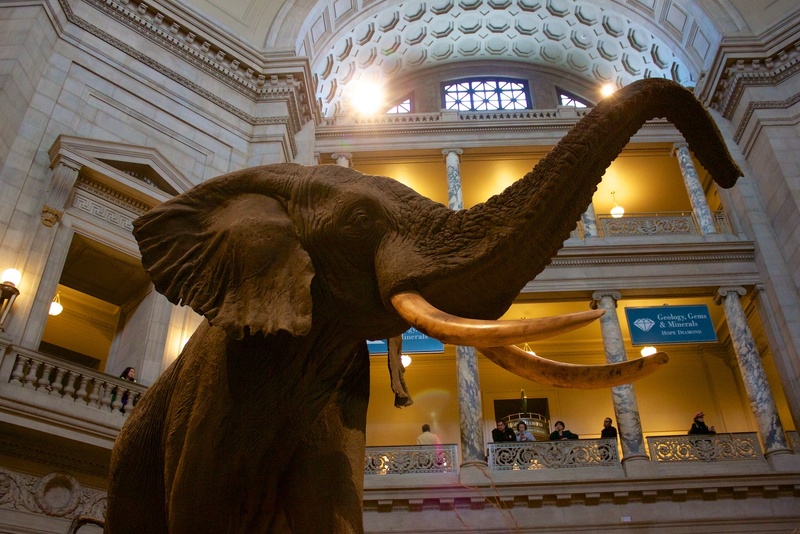 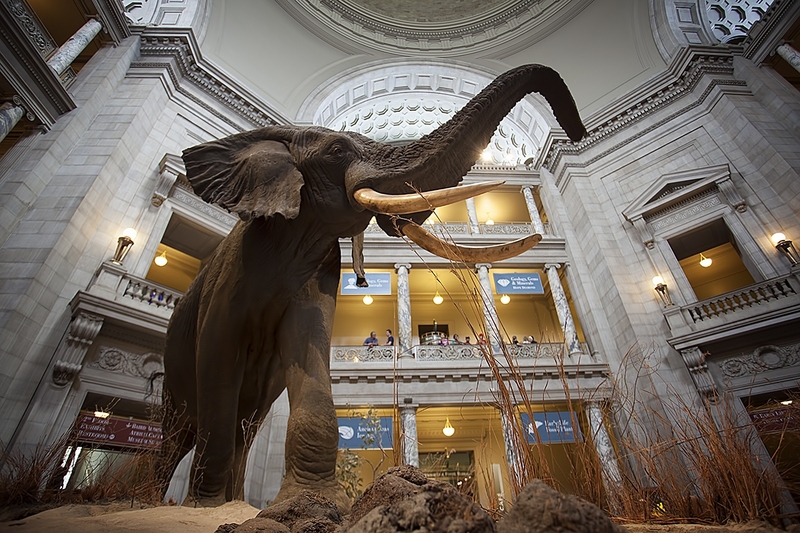 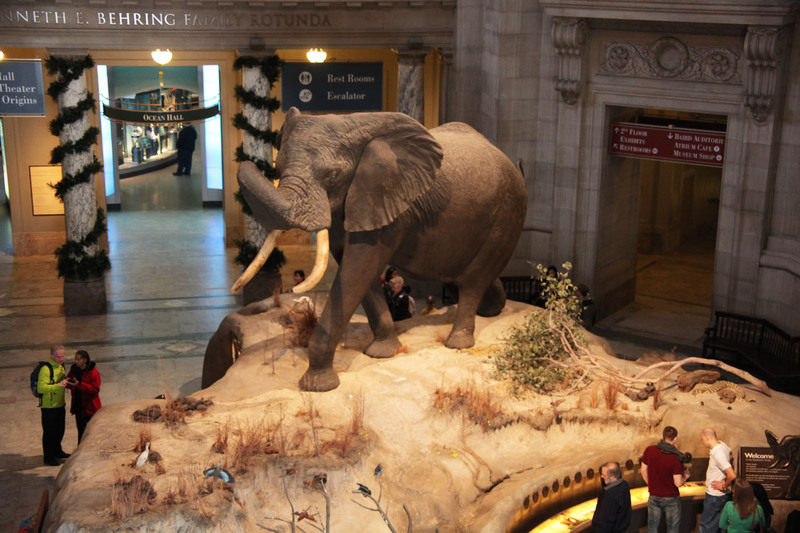 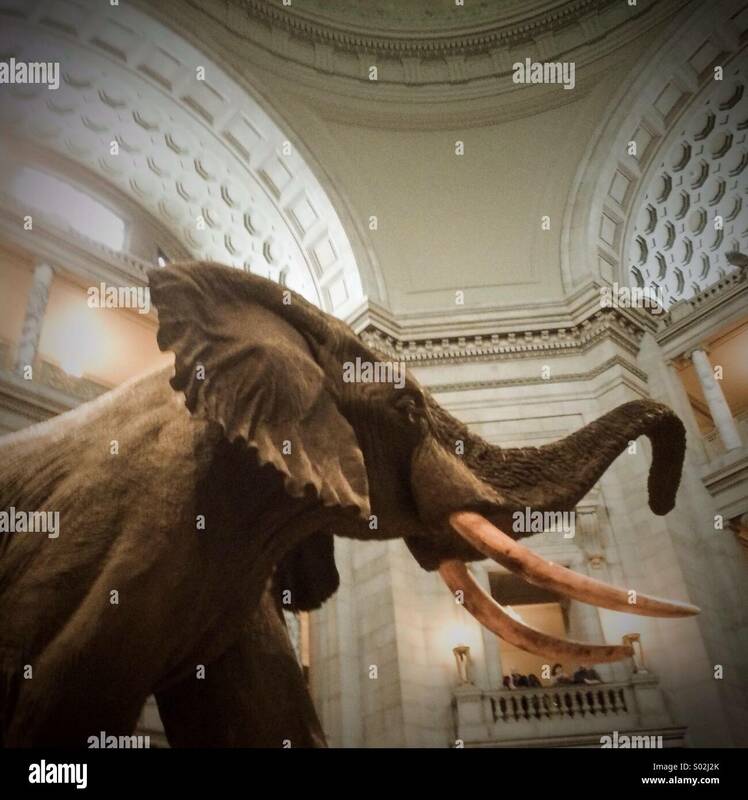 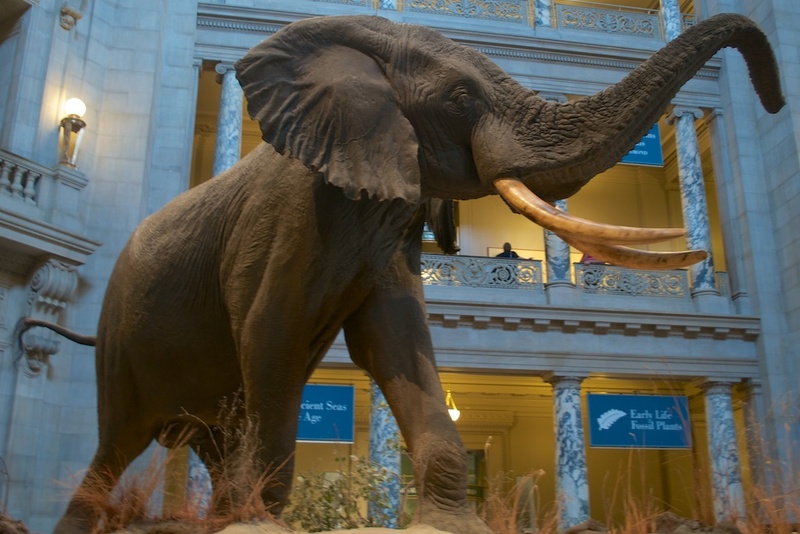 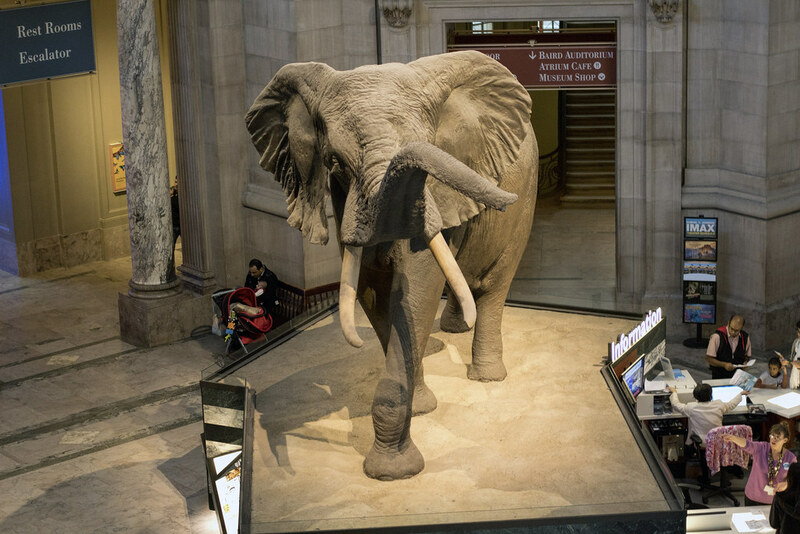 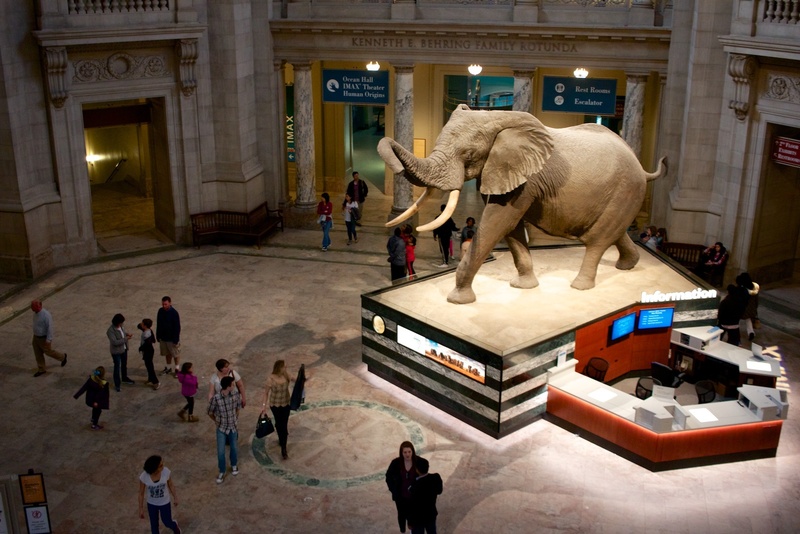 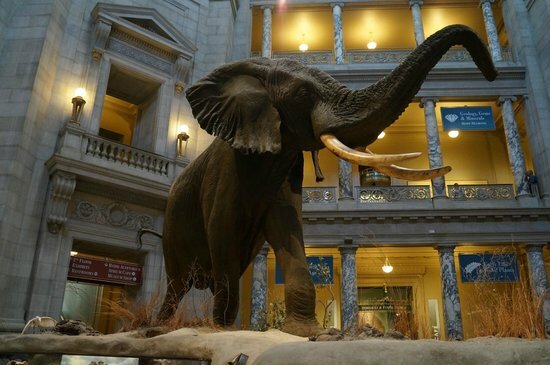 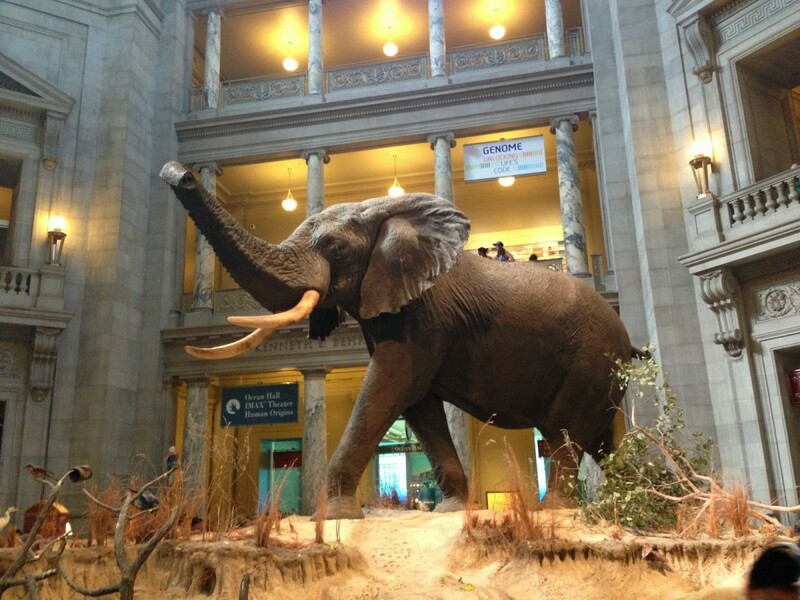 An African bull elephant greets visitors in the rotunda of the National Museum of Natural History. 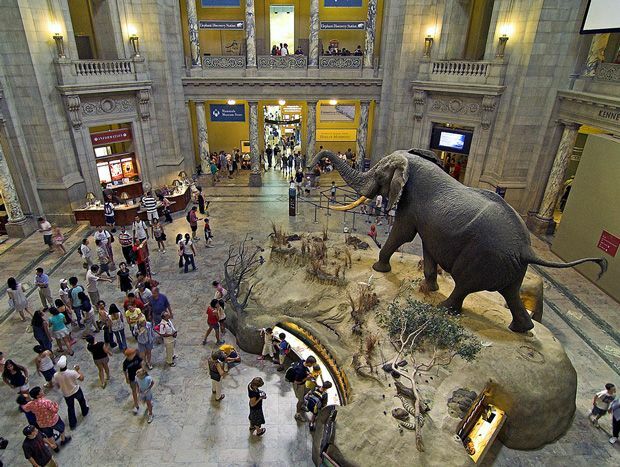 Smithsonian National Museum of Natural History. 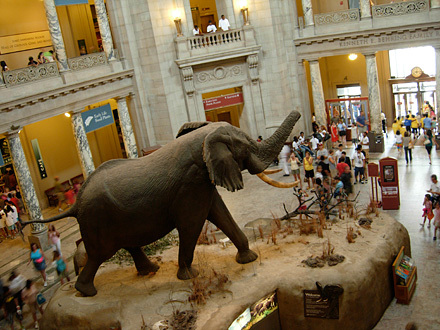 A family looks out over Henry the elephant in the rotunda of the museum. 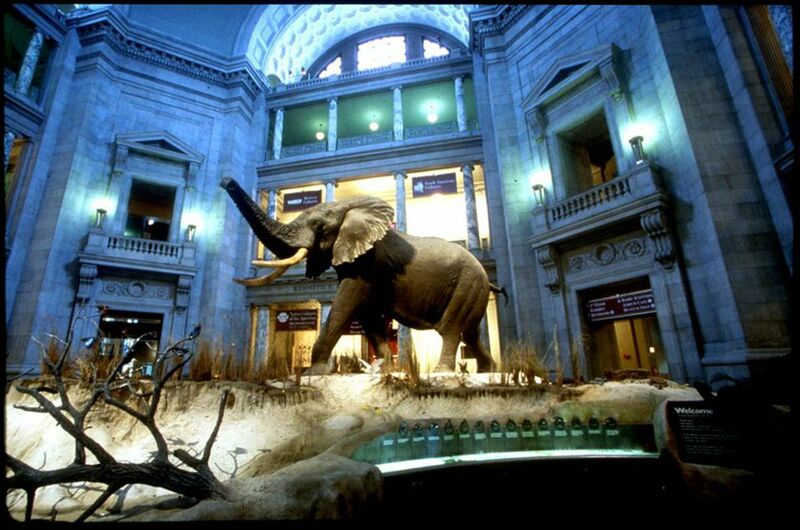 African elephant exhibit in the Rotunda of the National Museum of Natural History. 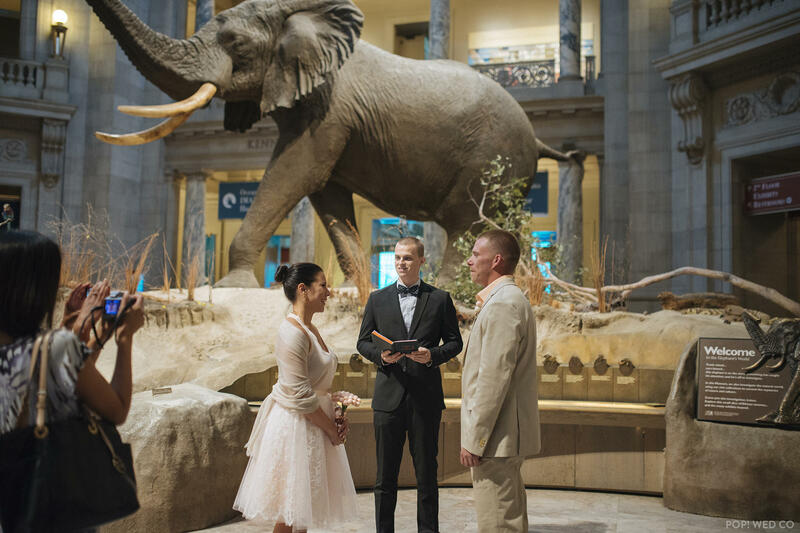 Jennifer Miller and Michael Bennett hold a pop-up wedding at the Smithsonian Natural History museum in Washington, D.C.
Photo of Smithsonian National Museum of Natural History - Washington, DC, United States. 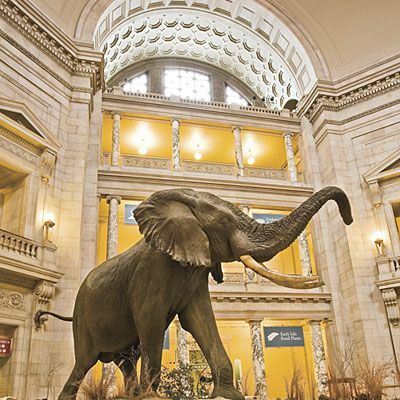 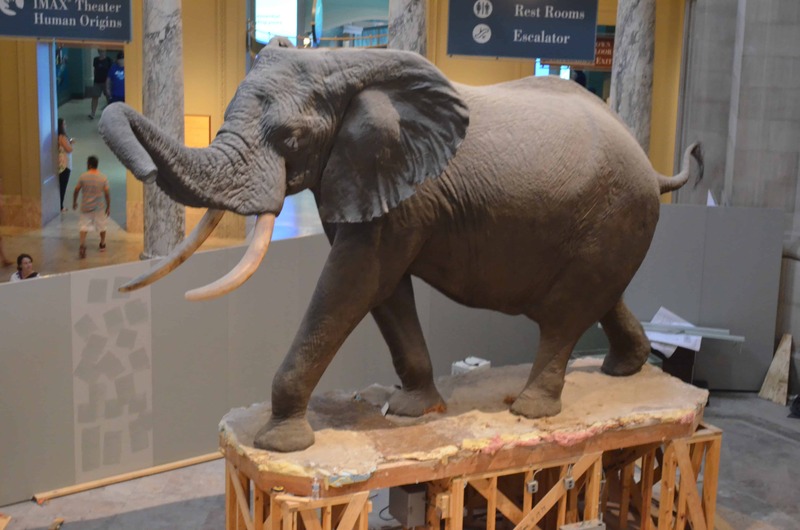 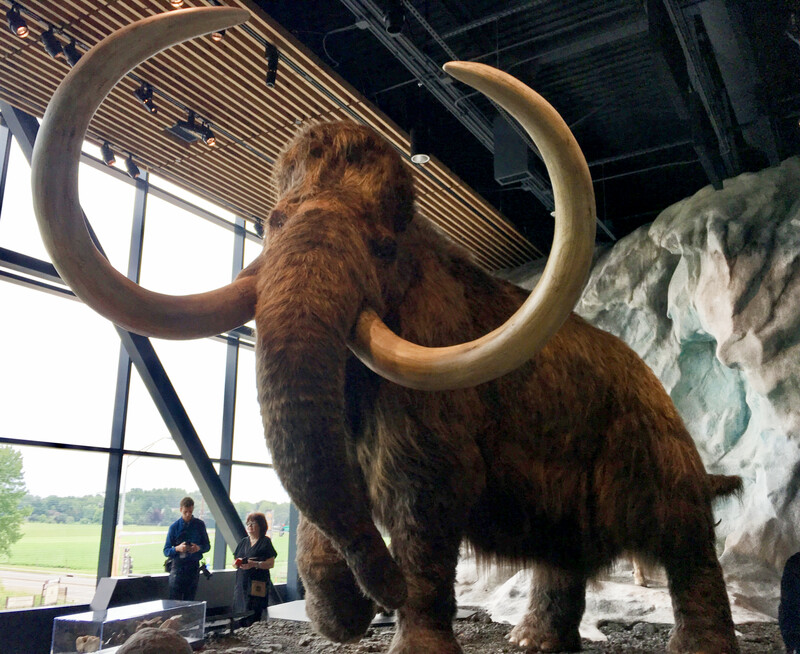 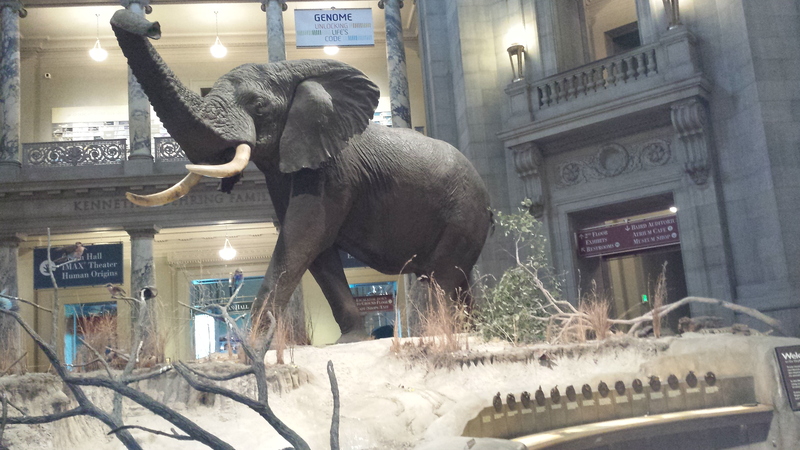 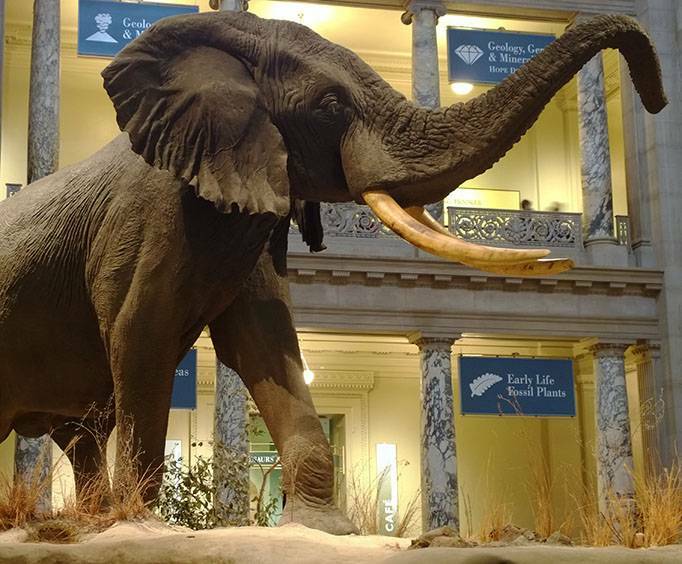 The African bush elephant is in the main lobby as you enter the museum. 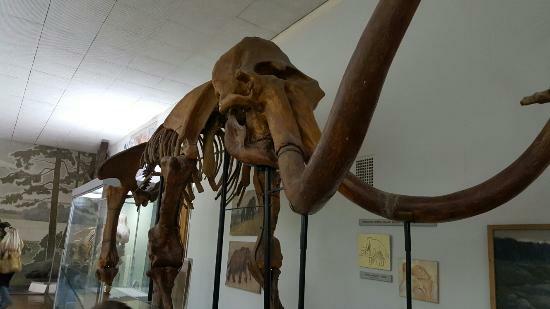 He is a favorite of mine and is named Henry (not sure how he got his name). 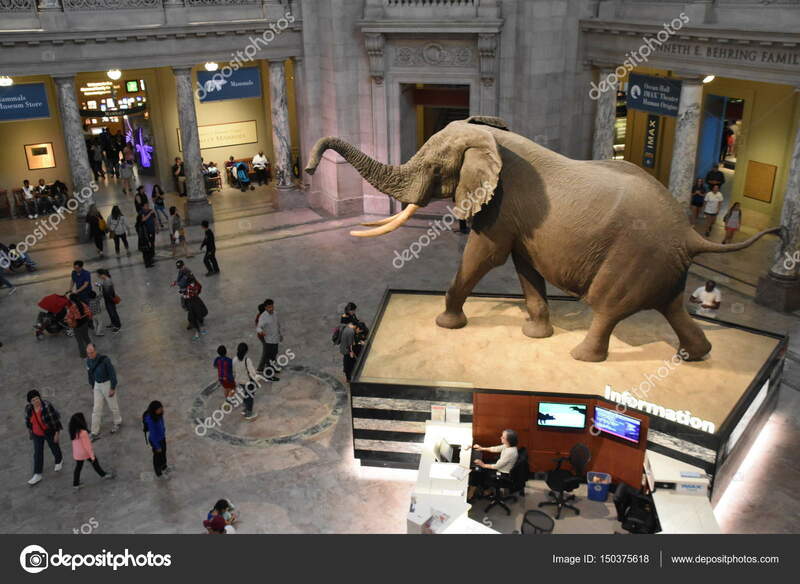 WASHINGTON, DC - APR 15: National Museum of Natural History in Washington, DC, as seen on April 15, 2017. 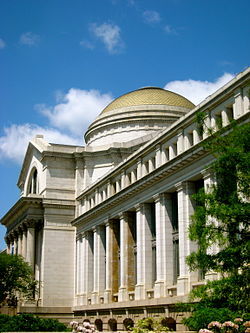 It is administered by the Smithsonian Institution. 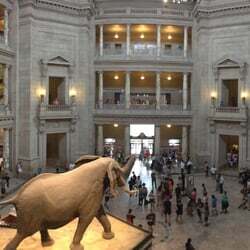 NIght at the Museum anyone? 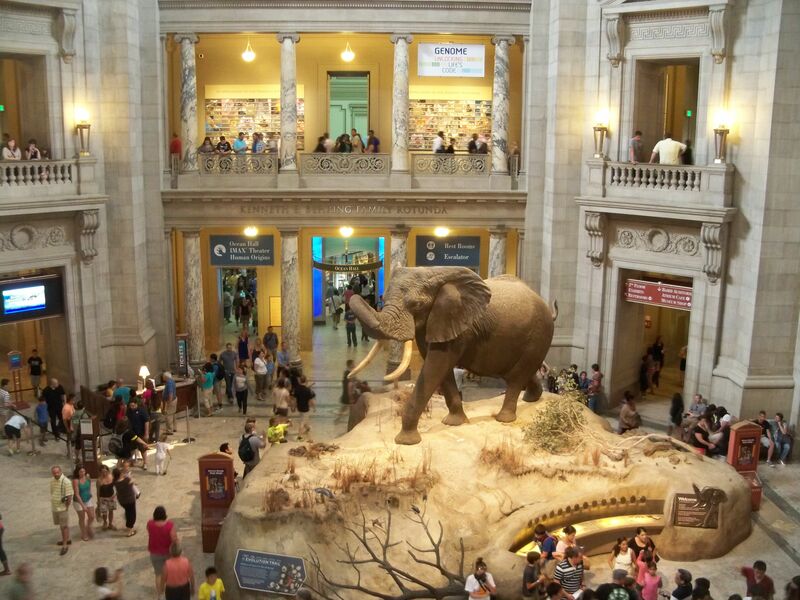 Smithsonian Museum of Natural History. 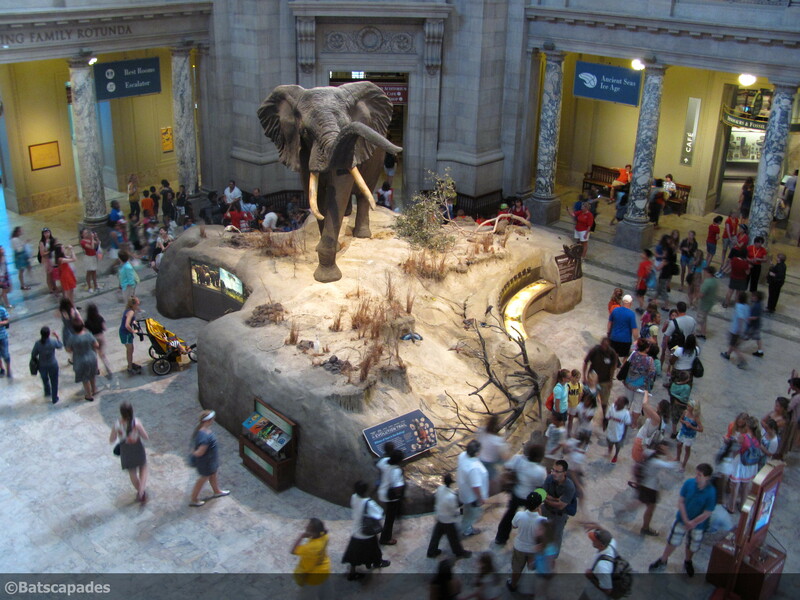 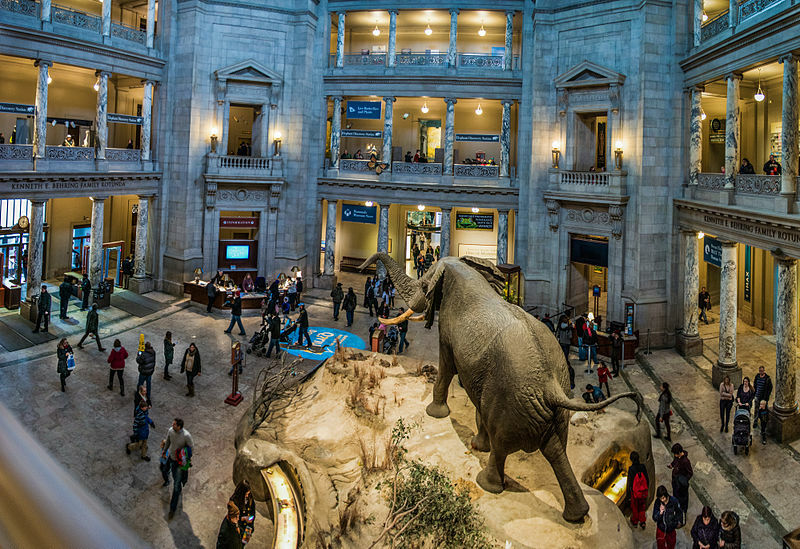 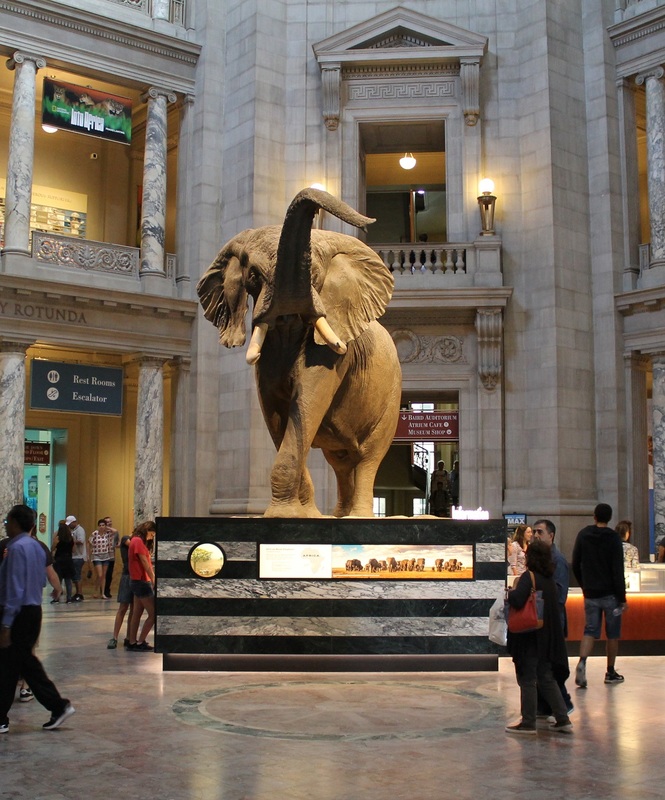 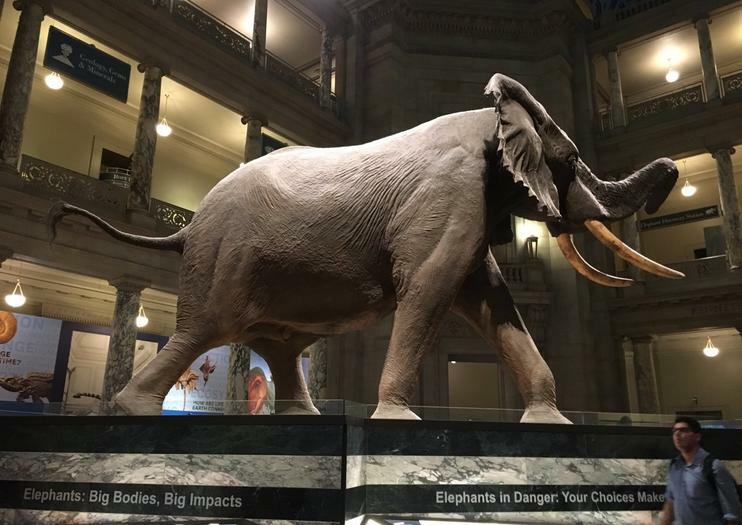 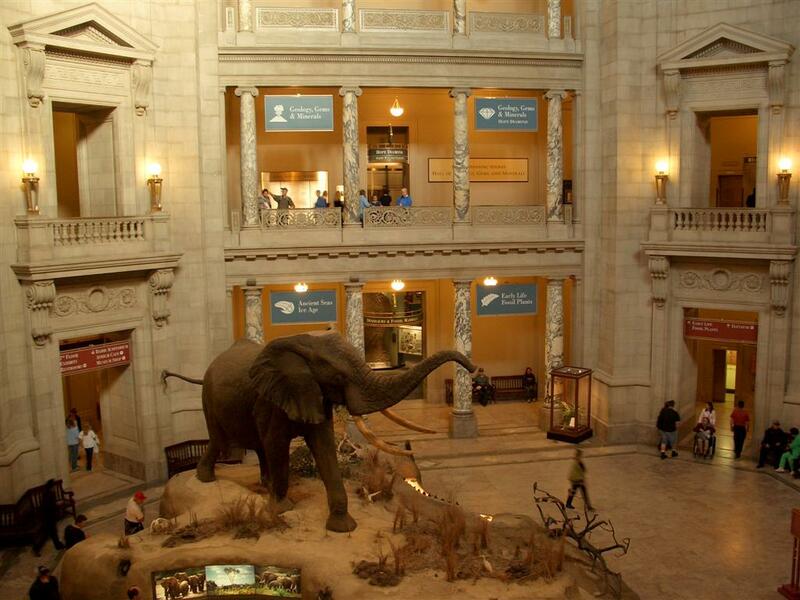 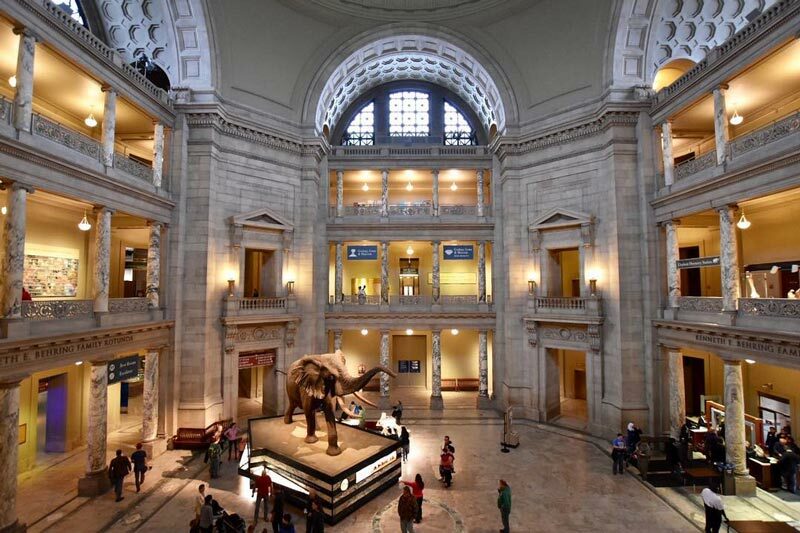 Photo: Inside the Smithsonian Museum of Natural History in Washington, D.C. 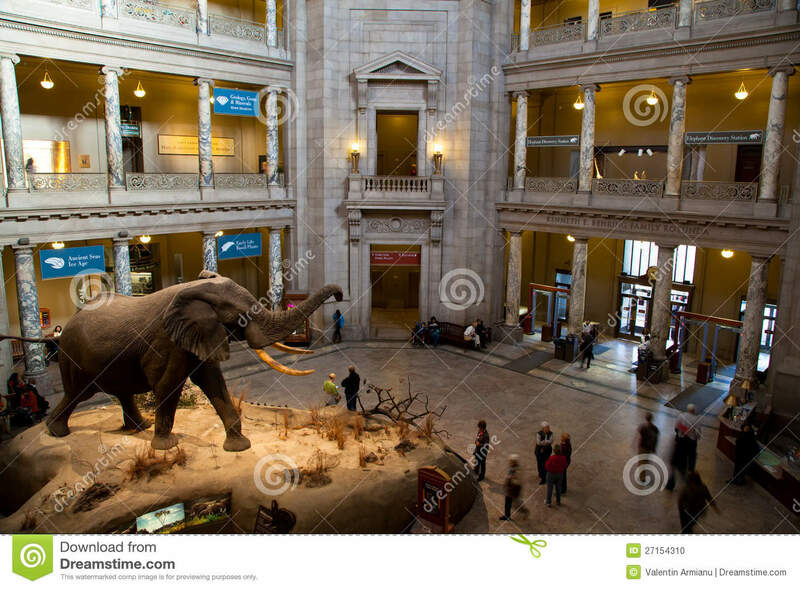 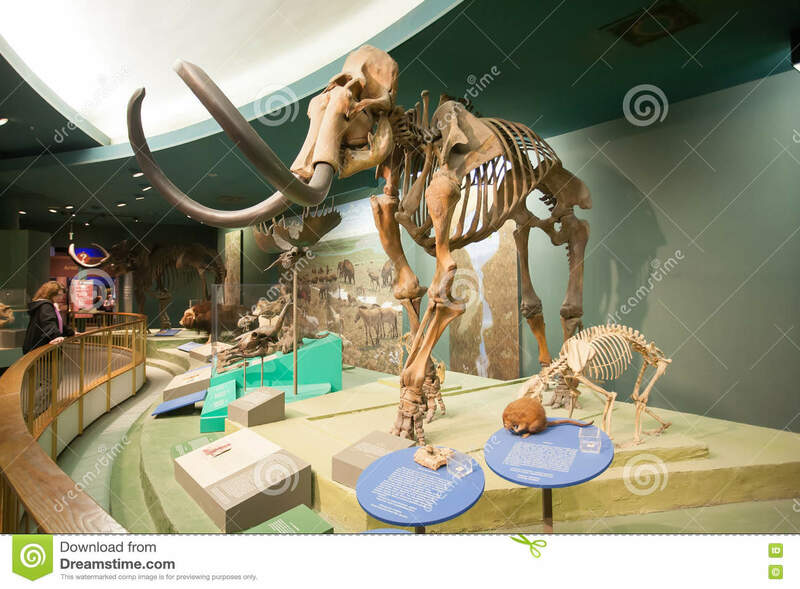 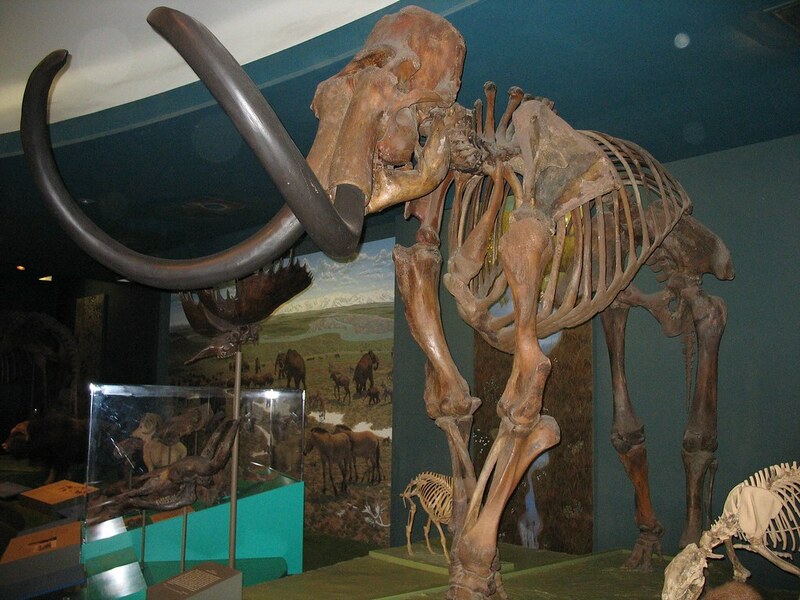 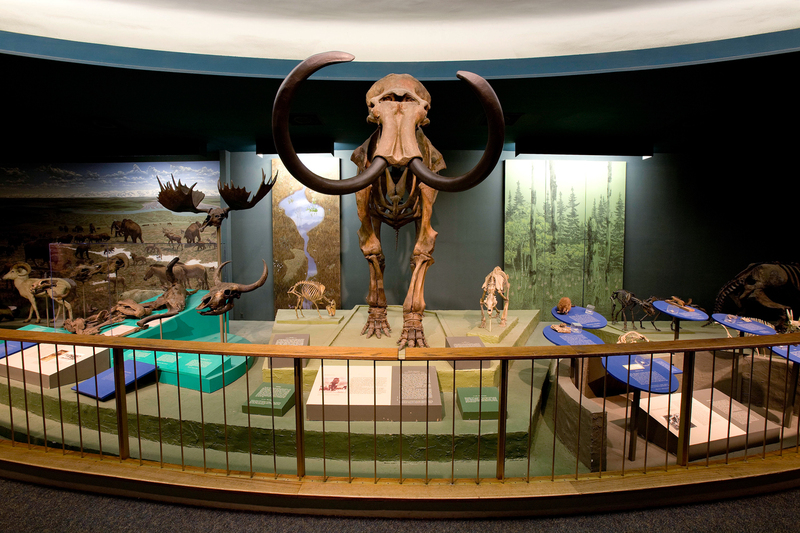 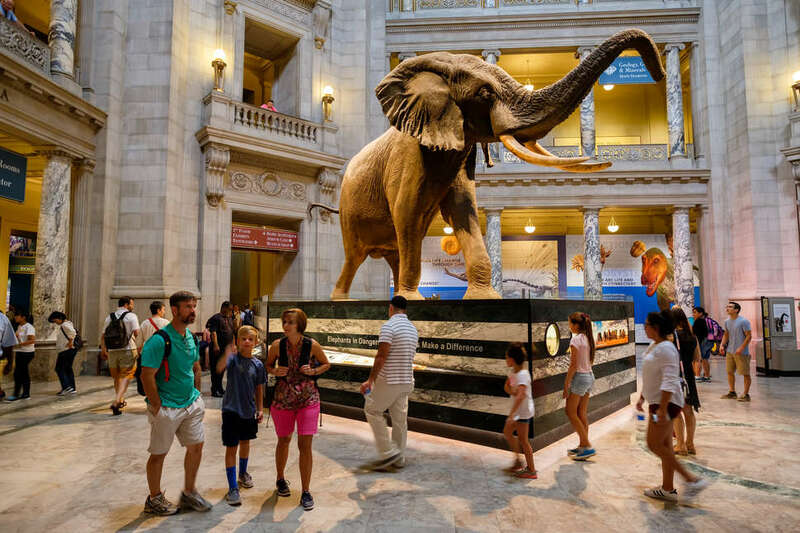 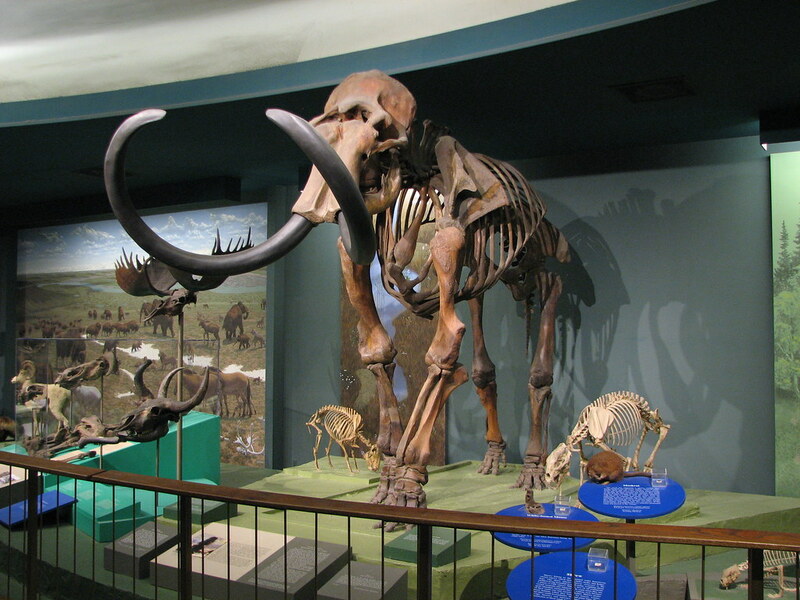 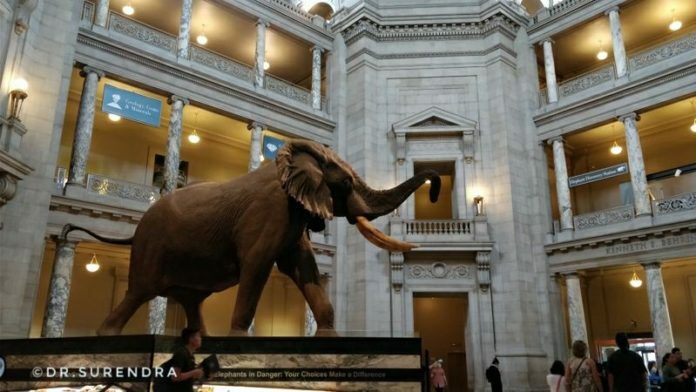 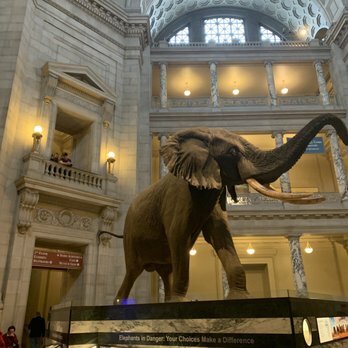 This is very much similar to the American Museum of Natural History but the main difference between the two is that the Smithsonian version in DC is FREE.